What makes me happier is that my passion for baking is flourishing, thanks to this berry mania! 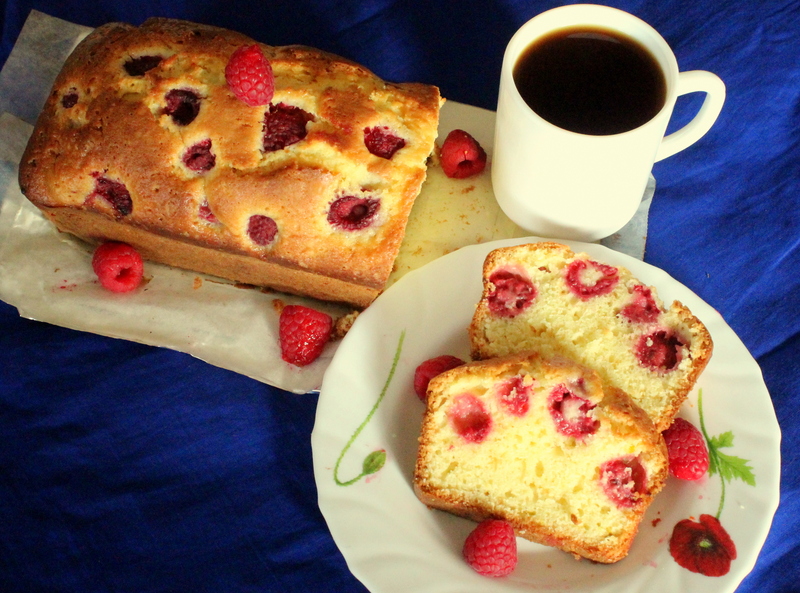 First I baked those Petit Fours that were just delish, then the Lemon-Blueberry cake that is out-of-the-world, the Mango-Strawberry tart that needs no description and now this fabulous Tangy Raspberry Cake that will blow your mind. The baker in me is very pleased. 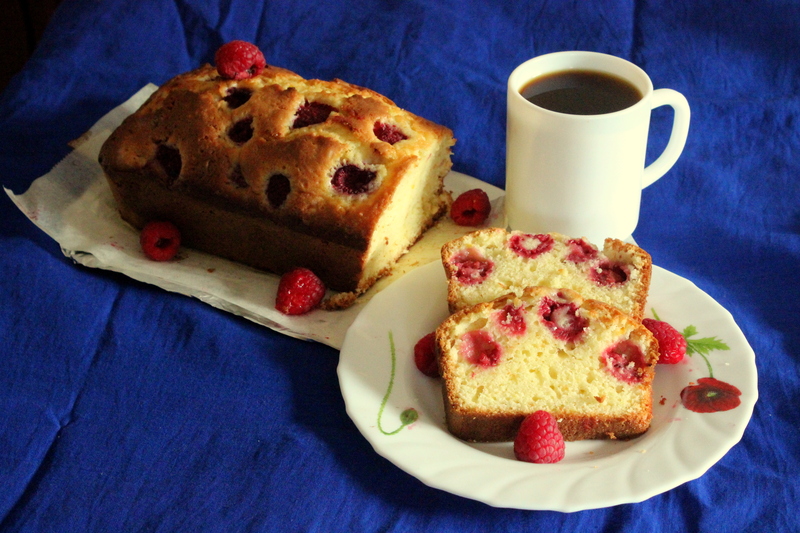 Here’s what you need to make The Foodscape’s Tangy Raspberry Cake in your home. Preheat your oven at 160 degrees Celsius for 20 minutes. In a bowl, beat the eggs until fluffy, then add in the oil and orange juice and mix well. In another bowl, lightly sift together flour, salt, sugar and baking powder. Pour the wet mixture over the dry ingredients and blend until it forms a smooth batter. Add in lemon rind and give it a final mix. Grease and line a loaf-tin with parchment paper. 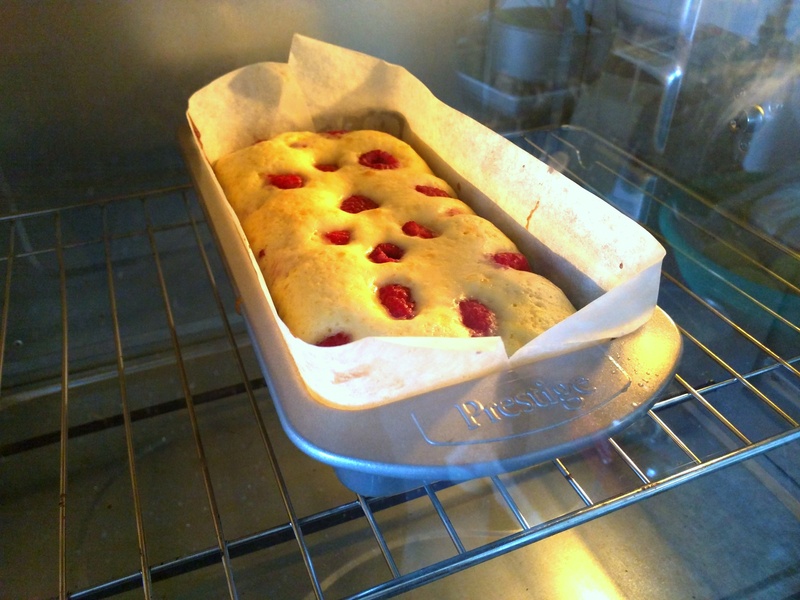 Pour in half of the batter, then place a few fresh raspberries on top and finish off with the remaining batter. Once all the batter is poured in, sprinkle a few more raspberries on the top and bake for about 35-40 minutes or until a skewer inserted comes out clean. This is one of those cakes that everyone loves serving at breakfasts, brunches, tea parties and the like. It’s that perfect breath of fresh air from all those heavy chocolatey treats that your guests and family will love you for. 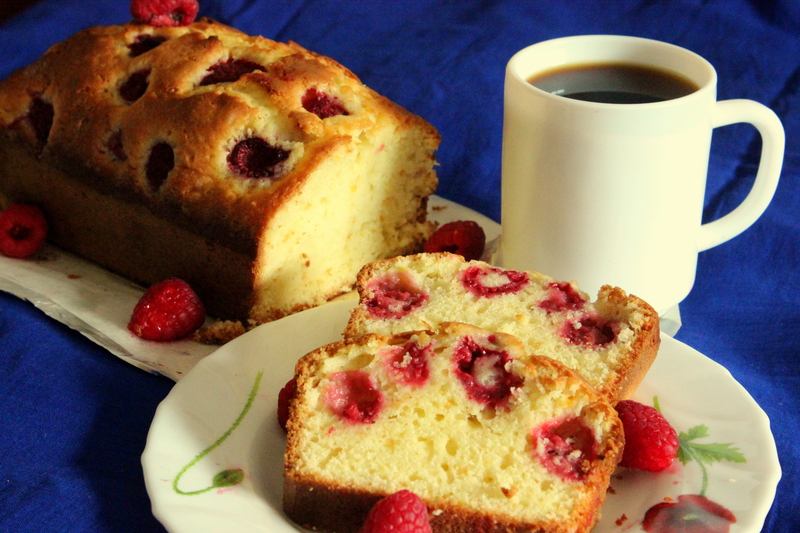 It’s also the perfect cake to savour while you enjoy a cup of coffee. 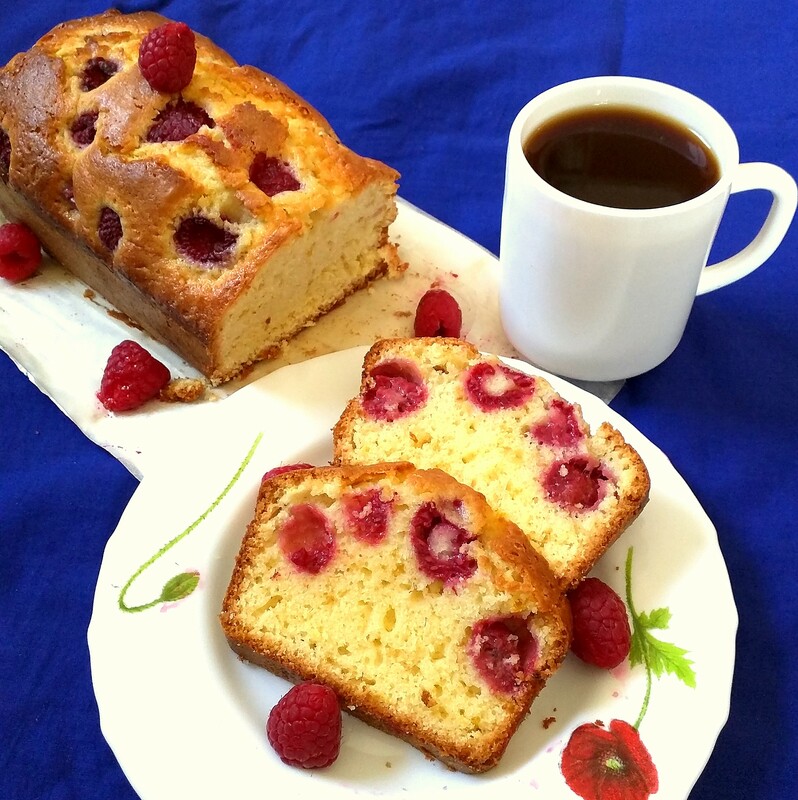 It’s that homely cake that puts you at ease, helps you relax and gives you the warm fuzzies! It’s tangy, sweet and zesty and sweet some more. It is oozing with flavour, hearty and delicious. 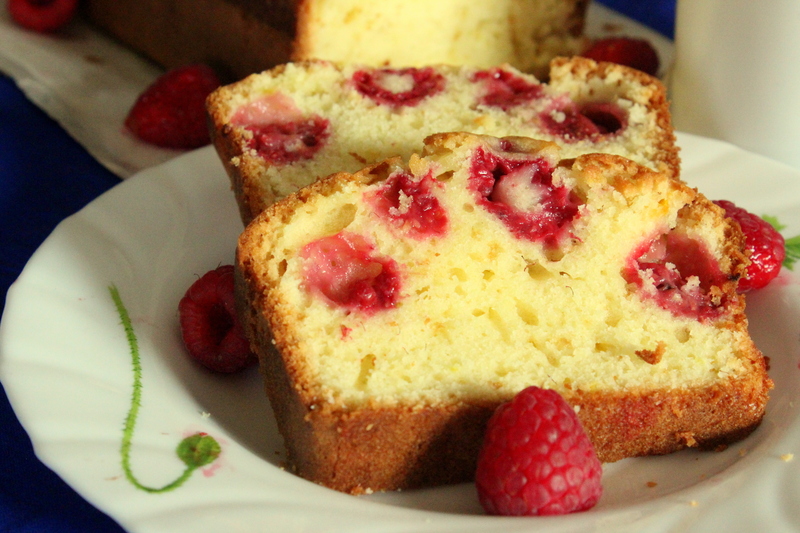 The citrus-y tartness from the orange juice and lemon rind are well complimented by the sharp flavour of the raspberries and the buttery sweetness of the cake. It’s truly a cake made in heaven!